This is World Mission Sunday and on this day, collections will be taken up throughout the world and used to help support missionaries who bring faith, hope and love to those who are suffering, helping to build churches, hospitals, and schools. Just as Jesus experienced opposition and suffering in his mission, so the missionary church at home and abroad experiences opposition and suffering. Our first reading for this Sunday is from the fourth song of the servant in Isaiah, the suffering servant who gives his and takes the faults of many on himself. This is echoed in the Gospel reading as Jesus says the Son of Man came to serve and give his life as a ransom for many. He is the Servant King and we share that kingship by virtue of our baptism, and we too are called to serve others. We share in his mission as we allow our faith to be deepened and spread the light of Christ by the witness of a Christian life. The kingdom of God is built up as ordinary things and actions are made holy by ordinary people. We also share in Christ’s mission as we help our missionaries by encouragement, by prayer and by material support. As we thank God for the life-giving gift of our faith, may we be anxious to share that gift with a world that needs it so badly, both at home and abroad. Second Collection: The annual collection for the Propagation of the Faith will be taken up at all Masses this weekend. Holy Souls. Novena of Masses from Friday 2nd to Saturday November 10th. Novena envelopes and lists for the dead now available. The Annual Rosary Procession around the Lough takes place on Sunday October 28th starting with Rosary in the Lough Church at 2.30pm. All Welcome. Cork Alzheimers Café a safe place for people with Alzheimers and other dementias, their carers, family and friends along with social and health professionals to meet. Last Friday of each month 1.30-3.30 pm in St Finbarr’s Hospital. Light refreshments, all welcome, no charge. Next meeting Friday 26th October. Anam Cara is committed to continue offering all our services at no charge to bereaved parents and families throughout Ireland. We are looking for some supportive volunteers who would consider helping us for a couple of hours on Saturday 17th November at Dunnes Stores, Bishopstown between 10am – 6pm. If you are interested in helping out, please email Pam at p.gaffney@anamcara.ie. Ennismore Retreat Centre Presents Healing our Grief & Transforming our Loss. Our NET Ministries Team arrived in Cork on 1st October. They range in age from 18 to 26, three women, three men and they come from Australia, U.S.A., Brazil and Co. Meath! They will work in the three parishes of Douglas, Turner’s Cross and the South Parish. The Team live together in the South Parish and a house there has had a make-over to accommodate the six young adults. They will visit secondary schools and youth groups as well as Confirmation classes, giving young people an opportunity to hear the message of the Gospel in their own language from people close to their own age. In this way students are comfortable with the team’s encouragement to live a life of faith. 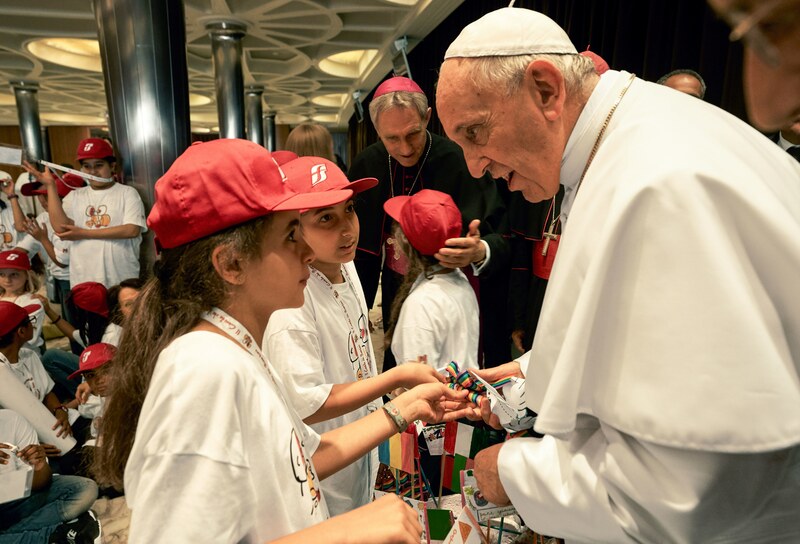 They work principally through retreats (called Encounter Days) in which the sharing of their personal experience of the positive influence and importance of Jesus and religion on their own lives is a central element. Our NET Ministries Team. The team leaders will be Anne-Marie Williams, age 21, from Australia and Bruno Proenca, age 26,from Brazil. They, along with four others arrived in Cork on Monday 1st October. Monica Schaefer, 19, from Texas, USA and Niall Foley, 18, from Co. Meath. John Luke de Losa, 18, from Australia and Leanne Rodriguez, 24, from Texas, USA. They will be involved in retreat work in schools (Confirmation, First Years, Transition Year and Leaving Certs) here Turner’s Cross, in Douglas and South Parish. As well as retreat days (Encounter Days in schools and youth groups they will also be involved in outreach to 3rd Level Students. HOLY HOUR to pray for Vocations – Sisters of Bon Secours Convent, College Road. Saturday 20th October 3pm-4pm with refreshments to follow. A Holy Hour will be held each month in one of the Religious Congregations in Cork to pray for Vocations. This is a prayer initiative of Vocations Ireland Munster region. All Welcome to join in prayer with us. Jesus says simply: “keep the commandments,” and summarises those which concern our dealings with other people. The love of neighbour implied in keeping the commandments listed by Jesus is an appropriate response to God’s goodness, and is of more importance than external religious ritual observance of the Law. The rich man had observed the commandments and he felt drawn to God. What should he do to honour God who is so good? The key was to freely give the generous gift of himself, all he had. The reward would be that wisdom which is more valuable than riches, and eternal life. Sadly, he found the price too high, and went away. Can we truly follow Jesus, or are we too tied to possessions, position and ambitions. A “leave all” attitude of God’s priority, of service of others and of love, leads to a deep inner peace, and whatever we give up, we receive in return riches that will last. The road to salvation is beyond human strength, but “all things are possible to God.” In the end it is a matter of being generous rather than self-centred. We ask the Lord, “what good must I do?” and pray for the grace to respond generously. Ordination of a new Permanent Deacon Congratulations to John Guirey of Ballinhassig Parish who will be ordained to the Permanent Diaconate for the Diocese of Cork and Ross this Sunday 14th October in the Church of Mary, Mother of God, Ballygarvan at 3.00 pm. We congratulate Deacon John and pray God’s blessing on him and his family. 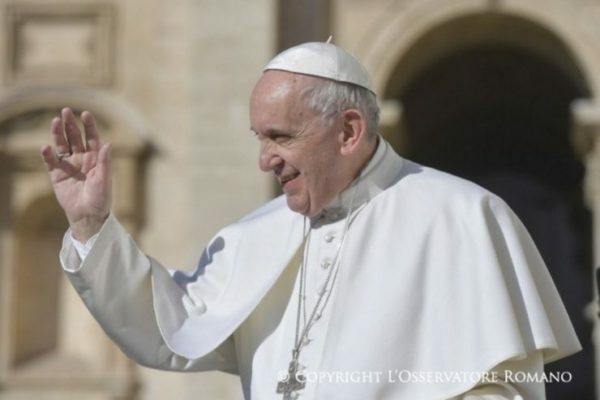 Two New Saints This Sunday Pope Francis will Canonize two new Saints, Pope Paul VI and Archbishop Romero. Pope Paul was elected in 1963 following the death of John XXIII and died in 1978. Oscar Romero was Archbishop of San Salvador. He spoke out against poverty, social injustice, assassinations, and torture. 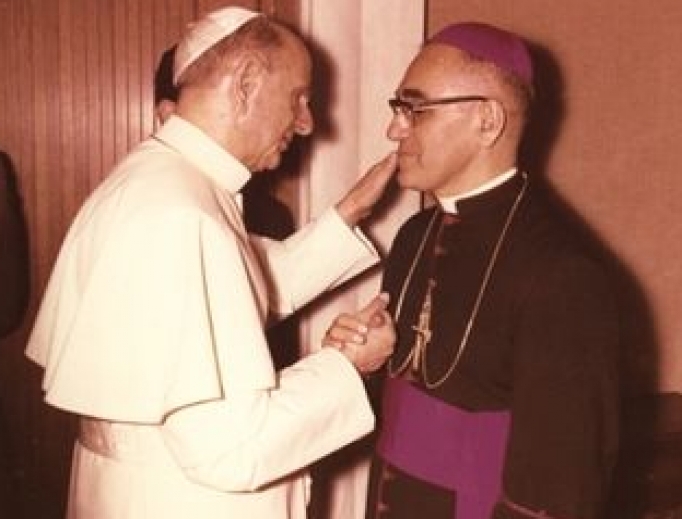 In 1980, Archbishop Romero was assassinated while offering Mass. 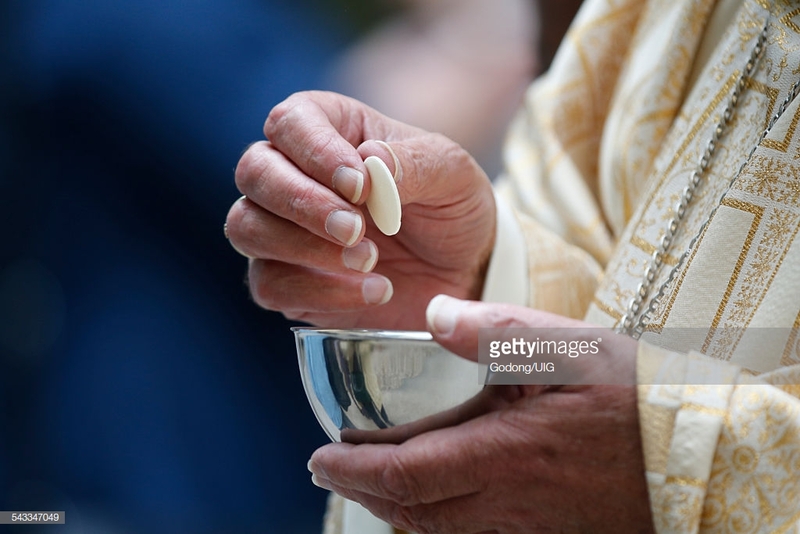 Ministers of the Eucharist: can collect their Rota for the coming weeks in the Sacristy. Diocesan Quarterly Collection at all Masses this weekend 13th /14th October to support the work of the dioceses. SAFEGUARDING The Diocese recognises and upholds the dignity and rights of vulnerable adults and is committed to safeguarding all our members. Therefore, the Diocese has introduced Guidelines for Clergy, Staff and Volunteers for Safeguarding Vulnerable Adults which can be found at www.corkandross.org and click the safeguarding tab.. Deaths: We remember in our prayers Nora O’Keeffe, Quaker Road, who died recently. We extend our sympathy to her family. Anam Cara is committed to continue offering all our services at no charge to bereaved parents and families throughout Ireland. Anam Cara’s main fundraising event for 2018 is our national bag pack, once again in conjunction with the lovely people at Dunnes Stores. We are looking for some supportive volunteers who would consider helping us for a couple of hours on Saturday 17th November at Dunnes Stores, Bishopstown between 10am – 6pm. If who are interested in helping out, please email Pam at p.gaffney@anamcara.ie. Holy Souls. Novena of Masses from Friday 2nd to Saturday November 10th. Novena envelopes and lists for the dead available next weekend. Jesus tells us that from the beginning God’s plan for humanity included an exclusive man/woman relationship, a faithful life-long union of love. God’s creation was good, and the Incarnation affirms the essential goodness and wholesomeness of human nature in all its aspects, including human sexuality. Nowadays the exclusive nature of the man/woman relationship is challenged on many fronts and we are faced with a widespread rejection of the sexual morality of the entire Christian tradition. This has had disastrous social consequences and has led to loss of respect for and understanding of intrinsic human values. A crass and permissive culture offers freedom and pleasure to our young people. The offer is a lie. Young people are hopelessly short-changed in the area of healthy sexuality and risk being cut off from the full realisation of their human potential. Married love is a real and wonderful gift from God, but growth to maturity where the gift can be appreciated in all its richness is a slow process, joyful but at times painful. We older Christians need to reach out to young people to present an ideal of Christian marriage that is wholesome and authentic. The ideal is not realised by married couples at all times, and Christians seeking holiness approach the Lord in our brokenness, relying on his love and mercy rather than on our own worthiness. The starting point for Christian thinking about marriage must be the aspect of mutual love and faithfulness, strengthened by the grace of the sacrament. Coláiste Íde in Dingle are holding open days on the 13th & 14th of October from 12-4. More information from 066 9151211 or info@colaisteide.com. policy please visit www.corkandross.org and click the safeguarding tab. Tickets €25.00 available from the Parish Office, Credit Union, Scoil Mhuire agus Eoin, and 20 Courtlands, Mayfield. Proceeds will go to set up cost of new classroom in Scoil Mhuire agus Eoin Mayfield for children with Autism. 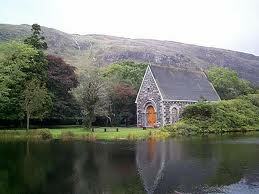 Parish Assembly meeting this Monday 8th October in the Parish Centre at 8.00 pm. The NET Ministries Team arrived in Cork on Monday last and were welcomed by Fr. Kerry, Turners Cross, Canon Teddy O’Sullivan, Douglas and Fr. Eoin Whooley, South Parish. Our NET Ministries team will work with young people and youth groups in our three parishes. The six members of our team are aged from 18 to 25 and are from the US, Australia, Brazil and Co. Meath and they will live in a house in the South Parish. The Team are equipped to set up and run youth groups, youth Masses, after-school programmes, lunch-time school programmes, coffee houses, faith discussions, rosary groups, men and women’s groups, assist and help with religion classes and much more. Diocesan Quarterly Collection at all Masses next weekend 14th /15th October to support the work of the dioceses. Today’s Gospel presents us Jesus who, on his way towards Caesarea Philippi, asks the disciples: “Who do men say that I am?” The people appreciated Jesus, they considered him “God’s emissary”, but were unable to recognize him as the foretold Messiah, awaited by all. Jesus looks at the Apostles and asks again: “But who do you say that I am?” This is the most important question, which Jesus directly addresses to those who have followed him, to verify their faith. Peter, in the name of all, exclaims candidly: “You are the Christ.” Jesus is struck by Peter’s faith, and recognizes that it is the fruit of a special grace of God the Father. On hearing this, Peter, who had just professed his faith in Jesus as Messiah, is shocked. He takes the Master aside and rebukes him. And how does Jesus react? He in turn rebukes Peter, with very harsh words: “Get behind me, Satan!” — he calls him Satan! — “You think not as God does, but as men do.” Jesus sees in Peter, as in the other disciples — and in each one of us! — that temptation by the Evil One opposes the grace of the Father, that he wants to deter us from the will of God. To undertake the discipleship of Jesus means to take up your cross — we all have one — to accompany him on his path, an uncomfortable path that is not of success or of fleeting glory, but one which takes us to true freedom, to that which frees us from selfishness and sin. It is necessary to clearly reject that worldly mentality which places one’s “I” and one’s own interests at the centre of existence. That is not what Jesus wants from us! Instead Jesus invites us to lose our life for him and for the Gospel, to receive it renewed, fulfilled and authentic. We are certain, thanks to Jesus, that this path leads us to the resurrection, to the full and definitive life with God. Choosing to follow our Master and Lord who made himself the Servant of all, we listen attentively to his Word — remember to read a passage from the Gospel every day — and encounter him in the Sacraments. May the Virgin Mary, who followed Jesus to Calvary, help us to always purify our faith of false images of God, in order to adhere fully to Christ and his Gospel. TURNERS CROSS ACTIVE RETIREMENT are re-opening on Tuesday next 18th September in the Centre, Capwell Road at 7.30pm. New members welcome. Refund of Full Payments and/or Deposits paid by those who didn’t travel to Papal Mass in Dublin can be collected in the Sacristy. Trócaire supports some of the world’s most vulnerable people in the developing world, whilst also raising awareness of injustice and global poverty in Ireland. We are a group of committed individuals who meet three times a year in Cork to organise initiatives in our communities for Trócaire. Would you be interested in becoming involved? If so, email volunteering@trocaire.org or visit trocaire.org/volunteer <http://trocaire.org/volunteer> for more information. Introduction to centering prayer: Saturday 22nd September 2pm to 5pm (registration 1:30pm) in the Community Centre, Blackpool, facilitated by Sr Aine Ashe and Lesley O’Connor. Donation only. To book a place contact: 087 6719970 or 086 8920302. Tea and coffee provided. This workshop is for those who wish to create their own contemplative lifestyle in today’s busy world. Down Syndrome Centre Forge Hill Cork are holding a fundraising event “Buy My Dress” sees new and pre-loved designer and occasion dresses find a new home and will be on sale at the Clayton Hotel Cork City on the 29th September 2018 from 11am – 5pm. All monies raised will help fund the centre which is an early intervention centre. The Centre caters for children from the Munster area. Ministers of the Eucharist Rota is available for collection from the Sacristy. Best Wishes to Cork Ladies Footballers and their trainer Ephie Fitzgerald competing in the All Ireland Final in Croke Park on Sunday. Best wishes also to Ephie and Tomas. The Irish Cancer Society’s National Conference is being held in the Clayton Hotel, Silver Springs, on Saturday, September 22nd from 10am – 4pm. Topics include exercise, diet, mindfulness, employment and more. For more information call Breda on 01-2310 533, email bcuddihy@irishcancer.ie or go to www.cancer.ie <http://www.cancer.ie> to register. The conference is free of charge but registration is essential. Canon Tom Deenihan, a priest of the Diocese of Cork and Ross and Diocesan secretary for twelve years, was ordained Bishop of Meath on Sunday last, 2nd September. Bishop Deenihan was born in Cork in 1967. He attended the North Monastery Christian Brothers School in the city. After completing post-primary education, he studied at St Patrick’s College, Maynooth and was ordained for the Diocese of Cork and Ross by the late Bishop Michael Murphy in 1991. After his ordination, Fr Deenihan worked in Glanmire Parish (1991-1994) and taught in St Goban’s College Bantry (1994-2003) during which time he also worked in the parishes of Schull, Kealkil and Bantry. In 2003 he was appointed as diocesan adviser for post-primary catechetics and, in 2006, as diocesan secretary and diocesan education secretary. He served on the board of the Cork Education and Training Board and a member of the Catholics Schools Partnership. Nationally, he has served as the general secretary of the Catholic Primary Schools Management Association from 2013 to 2016, and as acting-executive secretary to the Council for Education and to the Commission for Catholic Education and Formation of the Irish Episcopal Conference. The Chief Ordaining Bishop was Archbishop Eamon Martin, Archbishop of Armagh and Primate of All Ireland, assisted by Bishop Michael Smith, retired Bishop of Meath and Bishop John Buckley of Cork and Ross. As I begin my new Ministry as Bishop of Meath, pray with me and for me that I and all who minister in this diocese will treasure and foster that sense of Joy that transcends our own worries, failings and shortcomings and enables us to reach out to others. I am particularly conscious of my role in supporting, as best I can, that spirit of joy in the priests of the Diocese. They are the men who minister in so many different places, in so many different contexts and in often difficult circumstances reaching out to those whom they minister to. It is not always easy being a priest today, like the parable, the priests of Ireland have worked in the noonday sun. They deserve support from their Bishop and Parishioners. Deaths: We remember in our prayers Peggy Hallahan, Mercier Park, and Elizabeth (Elsa) Collins, Summerhill South, who died recently. We extend our sympathy to their families. But let us also humbly acknowledge that, if we are honest with ourselves, we too can find the teachings of Jesus hard. How difficult it is always to forgive those who hurt us; how challenging always to welcome the migrant and the stranger; how painful joyfully to bear disappointment, rejection, betrayal; how inconvenient to protect the rights of the most vulnerable, the unborn or the elderly, who seem to impinge upon our own sense of freedom. Yet it is precisely at those times that the Lord asks us: “What about you, do you want to go away too?” (Jn 6:67). With the strength of the Spirit to “encourage” us and with the Lord always at our side, we can answer: “We believe; we know that you are the Holy One of God” (v.69). Deaths: We remember in our prayers Josephine O’Leary, Doyle Road, who died recently. We extend our sympathy to her family. Turners Cross Active Retirement are re-opening on Tuesday next 4th September in the Centre, Capwell Road, at 7.30pm. All welcome. Hope Foundation. Aoife McTaggart of Christ King Girls Secondary School is selling Butlers Hope Chocolate Bars after Masses this weekend as part of her fundraising for her volunteer visit to India to work with the Hope Foundation in Kolkata. “After the Abortion Referendum: The Way Forward for Ireland’s Pro-Life Movement” on Thursday, September 6th, 2018 in Clayton Silver Springs Hotel, Tivoli, at 7:30pm in the Harbour 5 Suite. All welcome to attend. The Irish Cancer Society’s National Conference is being held in the Clayton Hotel, Silver Springs, on Saturday, September 22nd from 10am – 4pm. Topics include exercise, diet, mindfulness, employment and more. For more information call Breda on 01-2310 533, email bcuddihy@irishcancer.ie or go to www.cancer.ie to register. The conference is free of charge but registration is essential. Arman and Eileen Beron with their sons Michael and Alex and daughter Kirsten represented Turner’s Cross Parish at the Festival of Families in Croke Park with Pope Francis on 25th August. Our congratulations and thanks to each of them. Congratulations also to those who travelled to the Phoenix Park Mass in the Turner’s Cross Parish Coach – a long day, but well worthwhile, we are told. Some parishioners travelled independently to one or more events, well done to all. 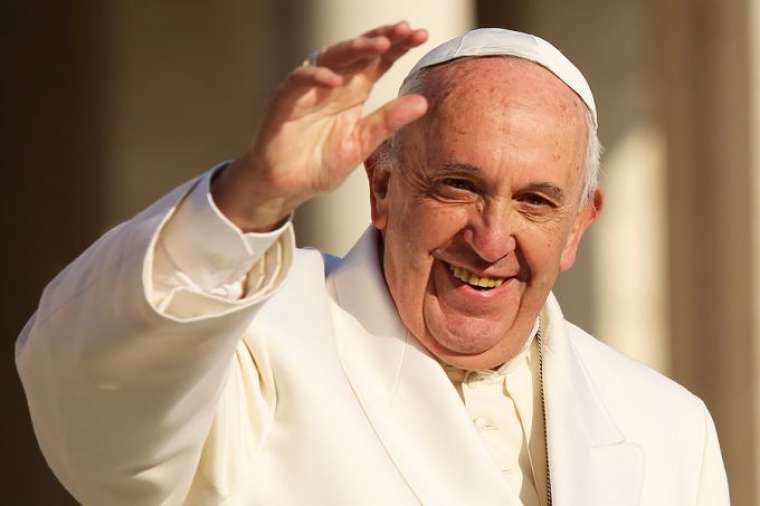 With great joy we welcome Pope Francis to Ireland this weekend, and wish him céad míle fáilte and we join him in praying for families in Ireland and all over the world. We welcome him as Vicar of Christ on earth and visible head of the Church. He comes to confirm us in our faith as successor to St Peter, who was told by the Lord that he must strengthen the brothers and sisters (Luke 22:32). We need strengthening in these difficult times as we experience hostility to our faith from outside the Church and continuing scandal within. We remember again the passage from the letter of St Jude: Some godless men have slipped in unnoticed among us, who pervert the message of the grace of God to their immoral ends. Our painful reaction to the abuse scandals is as nothing compared to the suffering of innocent boys and girls, whose damage and suffering continued into their adult years; long and broken years. We pray for healing and comfort for those who have suffered, and that the Church may be healed, the Church of God which is the gathering of God’s people, women and men of good will who had nothing to do with the evil and who have been hurt and harmed by it. As the Church is wounded by scandal, much of her teaching on family and the sanctity of life has been rejected by contemporary Ireland, and many have walked away from the faith. We seem to hear the Lord saying to us, to each of us, will you go away too? Please God the encouragement of Pope Francis’ visit will help us to say, in the words of St Peter in today’s gospel reading: Lord, who shall we go to, you have the message of eternal life. 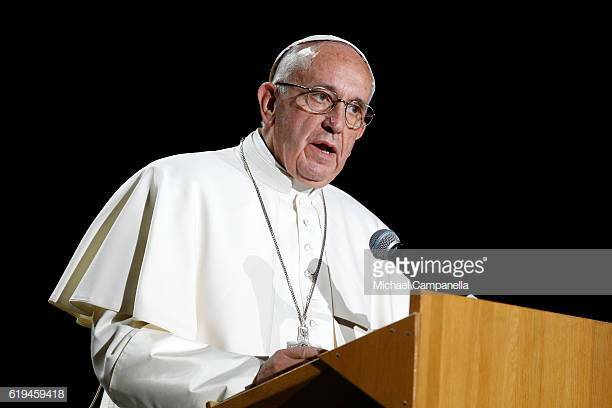 We pray that in spite of the difficulties we will rejoice at the presence of the Pope among us, that we will listen to his words, and the reflection on the various aspects of family life emerging from the World Meeting of Families Pastoral Congress. May we show the diminished Ireland of our time that there is an alternative to the death voices of a culture which promises pleasure but cannot give joy or inner peace. May we experience God’s blessing as Pope Francis encourages us to be more and more aware of the joy of family love, which leads to life and true freedom. St. Joseph, father and protector, pray for us. The Television Broadcast of the Papal Mass in the Phoenix Park will be shown on a very large screen in the Church of Christ the King on this Sunday afternoon. This is an opportunity for those not travelling to Dublin to participate as a Parish group. The transmission will be shown from 2.15 pm, in good time to include the Papal Mass at 3 o’clock. Benediction of the Blessed Sacrament afterwards. Deaths: We remember in our prayers Mary O’Shea, Doyle Road, Michael Dorgan, Kilcolman Lawn and Eddie O’Regan, Maiville Tec., who died recently. We extend our sympathy to their families. Cork Alzheimers Café a safe place for people with Alzheimers and other dementias, their carers, family and friends along with social and health professionals to meet. Last Friday of each month 1.30-3.30 pm in St Finbarrs Hospital, Douglas Road. Light refreshments provided free of charge. Next meeting Friday 31st August. All welcome. Sacred Heart Church, Western Road, 31st August – 8th September, daily at 10.00am and 8.00pm.